Bodybuilding.com and IMAGE Sports are announcing a new partnership. In less than two years, IMAGE has set the standard as the fastest growing brand nationwide and will now be available at Bodybuilding.com. We are honored to be chosen as one of two retailers selected to carry this high-end, exclusive brand. Bodybuilding.com – the Internet’s most visited bodybuilding and fitness site and the largest online retailer of nutritional supplements – Image Sports, a sister line to nationwide powerhouse BPI SPORTS, has established itself as a force to be reckoned with. In less than two years, IMAGE has set the standard as the fastest growing brand nationwide. Its continued success and growth has paved the way for this unique and high profile new partnership. Bodybuilding.com carries the full line of IMAGE Sports including: 4D PUMP™ Pre-Workout Muscle Formula, Pure-X7™ Concentrated Thermogenic, VEIN™ Muscle Fullness Response, ALARM ULTRA™ Pre-Training Formula, and MP3™ Protein Thermogenic. This full line covers all the major sports nutrition categories. 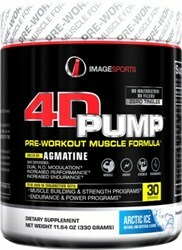 For more information on IMAGE Sports, please visit the product page at http://www.bodybuilding.com/store/image-sports.html. IMAGE Sports is one of the fastest growing brands in the sports nutrition industry. Designed for bodybuilders and athletes, IMAGE is a line packed with exclusive high-end formulas and cutting edge extracts aimed at fast acting results. For more information on IMAGE Sports, please visit ImageSportsDirect.com or on Facebook at Facebook.com/ImageSports.